In Bloom with Oscar de la Renta SS'17: eight head-to toe floral looks perfect for upcoming summer! 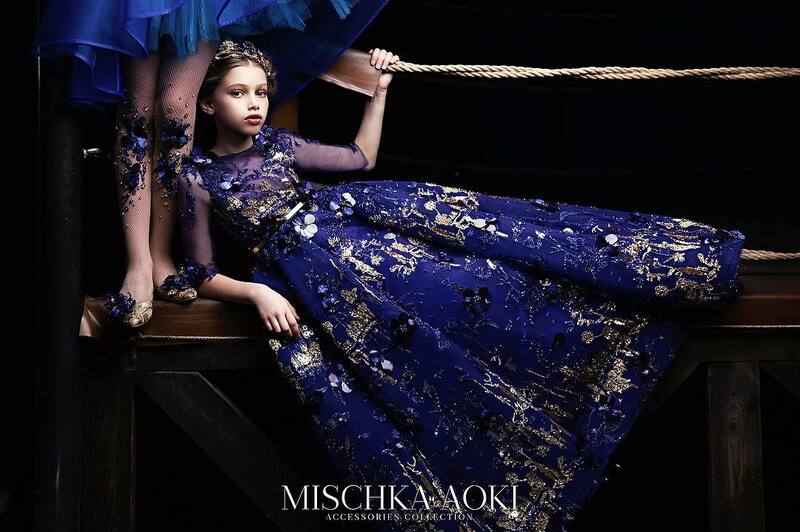 Whimsical prints and crisp fabrics will usher them into the new season style. 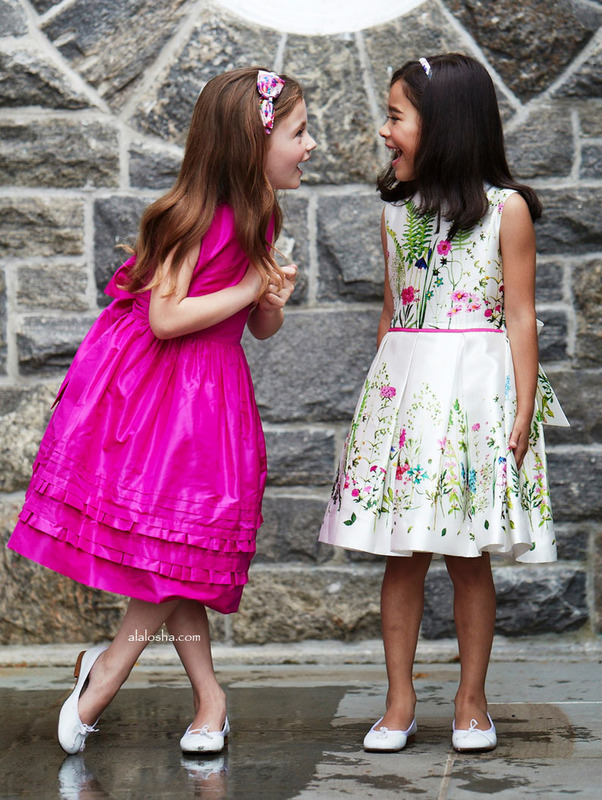 Oscar de la Renta has done the work for your kids - eight head-to toe floral looks perfect for upcoming summer. 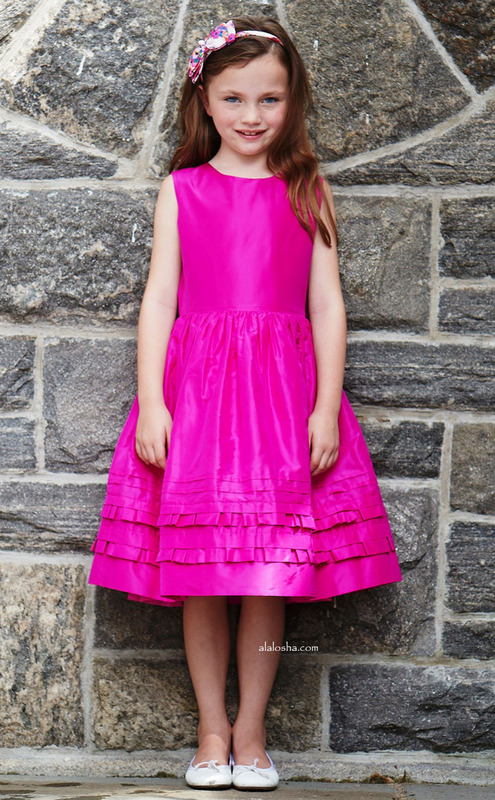 Your little princess will sparkle in Oscar de la Renta party-perfect sleeveless dress, finished with a beautiful bow at the back and cast in flamingo-pink for the new season. 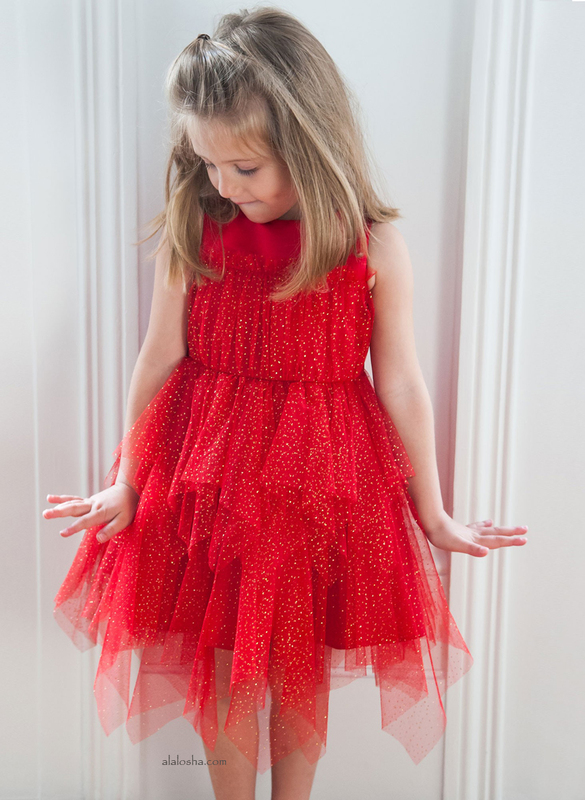 Crafted in Portugal from lustrous silk taffeta, this fit-and-flare silhouette features a feminine full skirt adorned with tiers of ruffles for added girlie flair. Complete her special occasion look with our Bow Headband and a pair of White Leather Sabrinas. 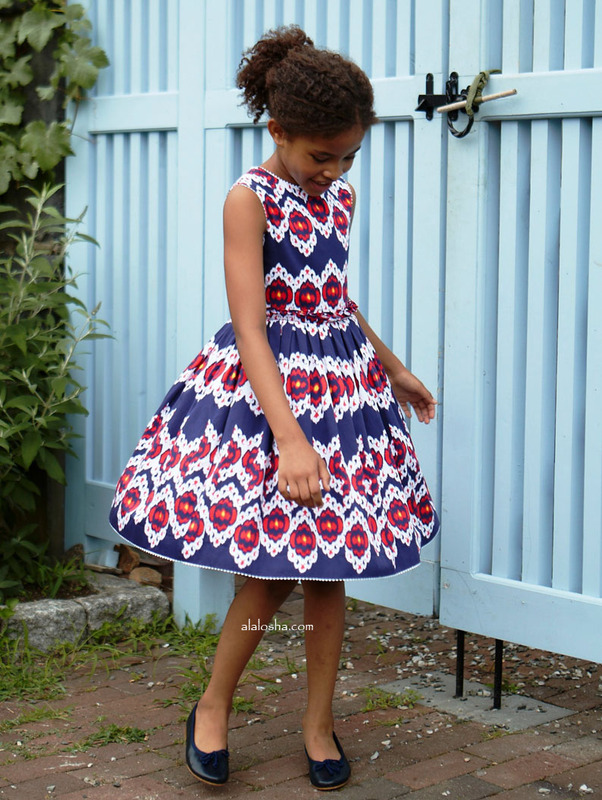 Scattered flamingo-pink carnation buds swirl across our breezy navy cotton party dress, perfect for special occasions and casual gatherings. Graphic and girlie, this European-crafted piece features a twirl-worthy A-line skirt and a bright green contrast sash that ties beautifully at the back. Let the fresh floral pattern shine with a pair of Oscar de la Renta patent Leather Strap Sandals. A lush and vibrant garden blooms across Oscar de la Renta printed party dress, making it a cheerful choice for all of her special spring and summer outings. 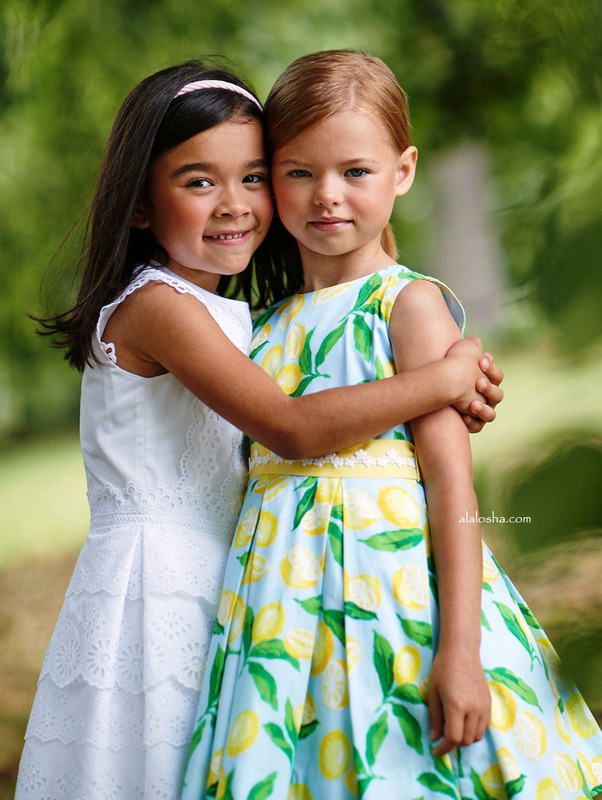 Finished with an adorable ribbon sash and cut from our signature silk-cotton Mikado, this hand-me-down-worthy style features a classic fit with a girlie gathered waist and a full A-line skirt. Playful and polished at once, it pairs perfectly with White Leather Sabrinas. Vibrant botanicals adorn Oscar de la Renta silk-cotton Mikado party dress, making it an extra-cheerful choice for all her special spring and summer outings. Finished with an adorable ribbon sash, this yoke-seam style features a classic fit with a girlie gathered waist and a full A-line skirt. Playful and polished at once, it pairs perfectly with White Leather Sabrinas. Sweet eyelet meets timeless tailoring in Oscar de la Renta charming shirtdress, updated for the new season in bright cherry red. Crafted in Portugal from light-and-airy cotton, this stunning silhouette stands out for its sharp short sleeves and wearable button-front style. Dress it up with a pair of Oscar de la Renta Patent Leather Strap Sandals for special occasions and family gatherings. A precious lemon pattern refreshes Oscar de la Renta signature party dress with a tropical twist. Crafted in Portugal from breezy cotton, this classic-fitting style is finished with a whimsical white ric-rac trim and features an adorable ribbon sash at the back of the full party skirt. Give the hand-me-down-worthy piece extra girlie flair with White Leather Sabrinas. Tie the polished look together with a pair of classic Navy Leather Sabrinas.